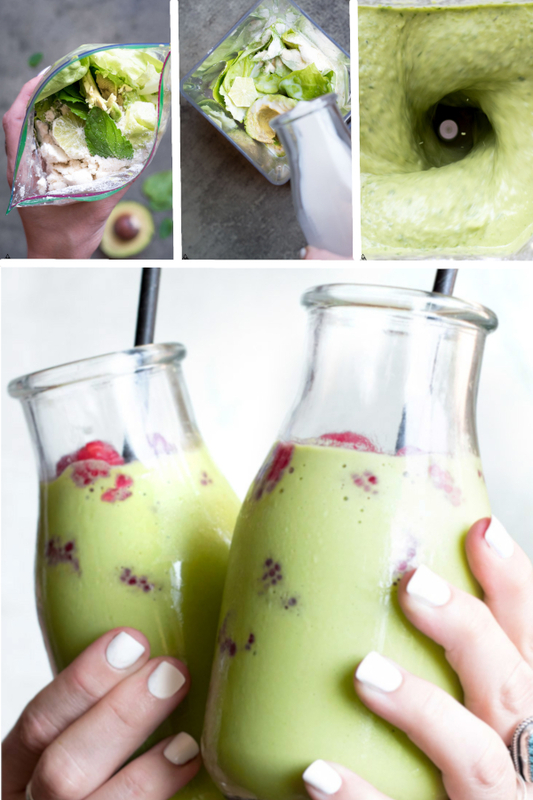 5 Minutes Low Carb Green Smoothie — Tastes Like a Milkshake! What better way to start the day then with a low carb green smoothie?? It’s full of protein, veggies, and tastes so darn good! Plus it takes less than 5 minutes to make. Below I’ll show you how to meal prep this low carb green smoothie and share a few delicious variations to try. 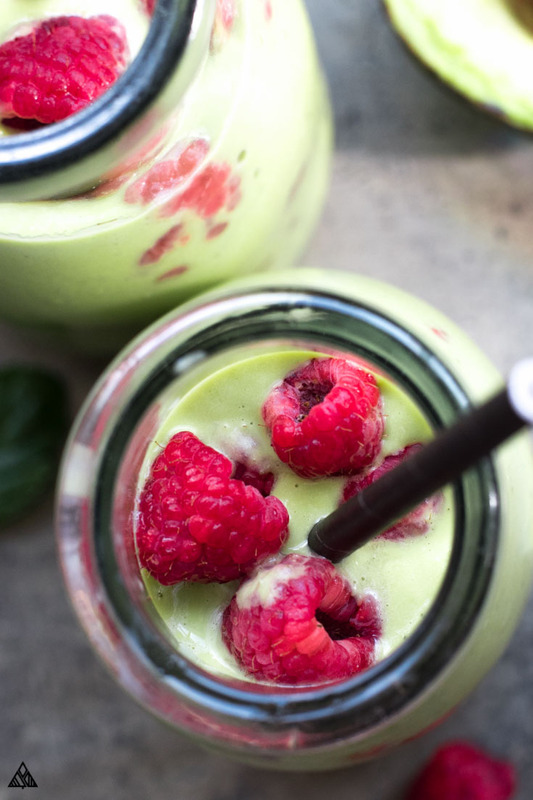 So hit that snooze button and let’s get blending my friends, it’s low carb smoothie time! None of us have as much time as we’d like to cook — in fact time is one of the biggest struggles people have on a low carb diet! But it doesn’t have to be, if you low carb meal prep with the right low carb recipes that is. There’s a handful of ways to save yourself hours in the kitchen — and pre-prepping my keto smoothies is one of them! It’s really simple! 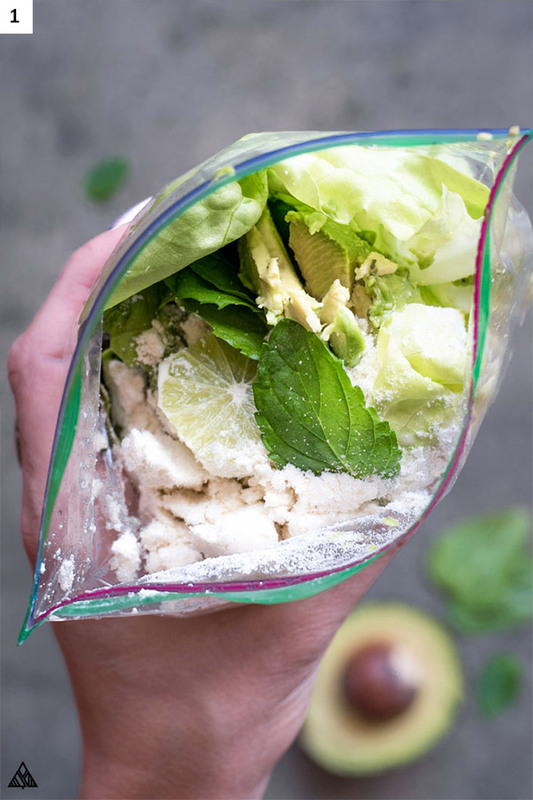 As you can see in the first picture, all you have to do is add your low carb green smoothie keto ingredients to a ziplock baggie and toss it in the freezer — make sure you leave out the liquids (milk, water, etc), we’ll add these when we blend. Then, whenever you’re craving a smoothie, all you have to do is add the ingredients to your blender with the liquid and blend away! Two: Like a Low Carb Protein Shake But Tastier! Protein is a necessity, especially for those of us sticking to low carb foods — but it’s easy to get tired of chicken, beef and eggs for every meal. Which is why this low carb protein shake is so wonderful! It literally tastes like dessert, but is packed with protein! (the amount varies based on the product you use) Giving you the fuel you need to power through the morning! 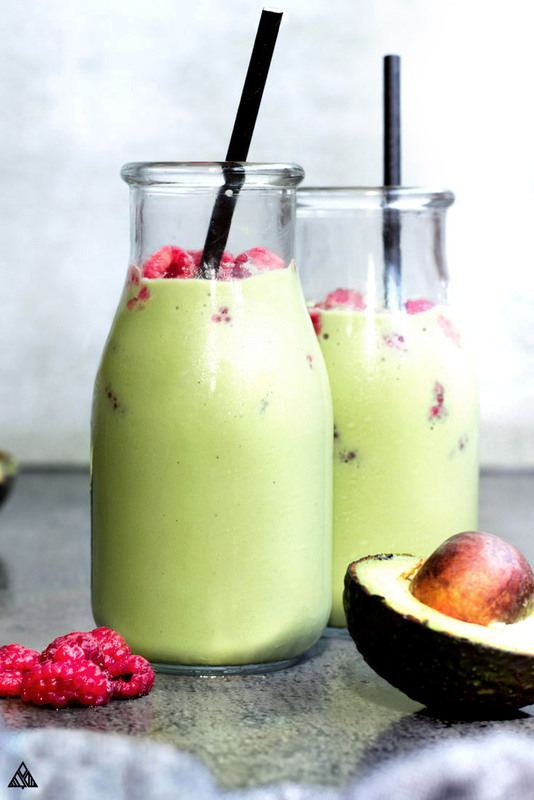 Back to the protein powder, if you love your low carb protein powder as much as I do, you may agree that this low carb green smoothie tastes just like a keto milkshake! If you’re looking for protein powder recommendations, I go back and forth between this vanilla plant based protein powder, and this vanilla whey protein powder. Yum! If you’re not a protein powder fan, try using a low cab Greek yogurt instead. It will add some carbs, but if you use the right brand (I use Fage) it’s packed with protein! Great news about low carb shakes is: you don’t have to meal prep for it to be ready in 5! 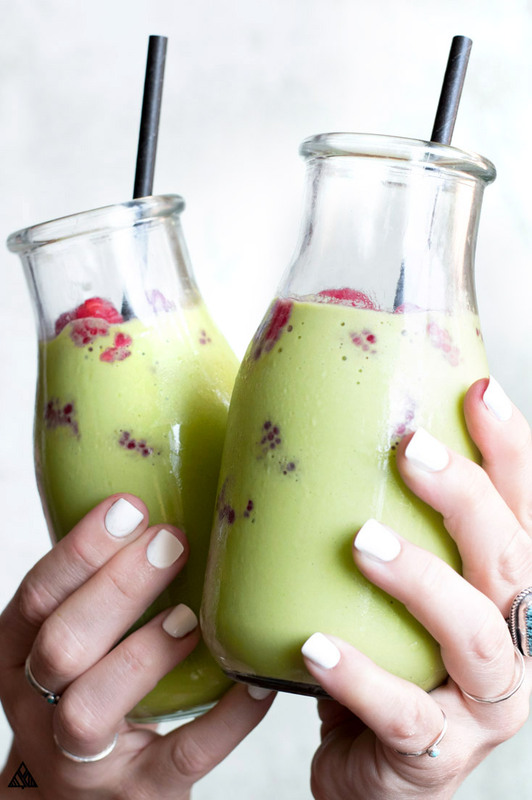 In this smoothie, there’s hardly any chopping or dirty dishes to clean, all that’s required is dumping the ingredients in a blender and pressing the button — the best kind of low carb meals! This low carb green smoothie makes for the perfect low carb breakfast on a busy morning! Last but not least! Drinking a keto smoothie in the morning is an awesome way to add a few handfuls of greens to your day, especially at a meal that’s easy to go without ’em! I find spinach to be the most mild greens in this keto green smoothie, plus it’s full of iron and a whole lotta goodness! Who can complain? You can also try romaine or kale — but again, the flavor of these are far less mild. Make your very low carb smoothies keto approved with simple low carb shopping list ingredients — all items you either already own, or low carb foods that would be a great addition to your kitchen! First, there’s the low carb protein powder — I always add this to low carb smoothies for diabetics to help balance the carbs fat and protein ratio. Plus it adds a delicious flavor and creaminess to smoothies, desserts, heck I even use it in my sugar free ice cream! Then there’s low carb milk — I suggest making low carb smoothies with almond milk or coconut milk, or, use whatever is the fridge! Add more milk if you like a thick smoothie, and less if you’d prefer it thin — you can even double the milk for a low carb green juice! Avocados, add a ton of fiber, creaminess and healthy fats which help keep you full and fueled. Mint adds a delicious flavor to the drink. 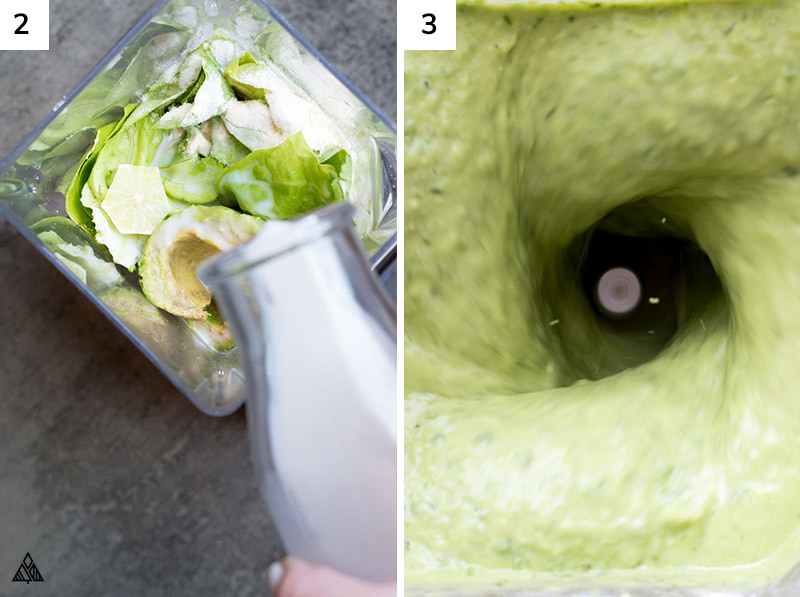 And with that, you’ve got a low carb green smoothie: fast, easy and delicious! Low carb smoothie recipes are an easy way to make your own unique creations. You can swap, add, or skip any of the ingredients on this list — just make sure you have enough liquid for the blender to blend! 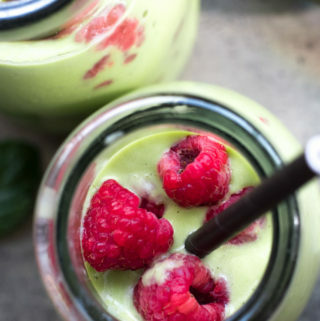 Low carb breakfast smoothies are a delicious way to start the day! 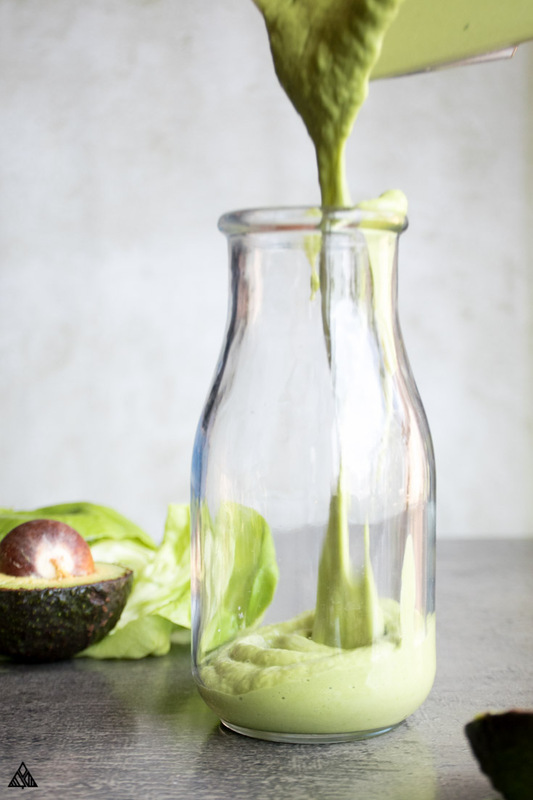 To make this, I add a handful of low carb granola to the top and a couple handfuls of ice to the blender when making the low carb green smoothie — that way your smoothie becomes more of a bowl that a sippable drink which can be enjoyed with a spoon. If you love strawberries as much as I do, you’ll add them to anything and everything you put in the blender! A low carb strawberry smoothie can be made using this recipe + ½ cup of frozen strawberries! Keep in mind that the color and carb count will change. I know low carb peanut butter may seem weird in a green smoothie, but it’s actually delicious! I make low carb peanut butter smoothie bowls, by adding more ice to the smoothie recipe and a dollop of crunchy peanut butter to the top. Yum! If you’re looking for a keto shake, add some MCT Oil to your smoothie! Hope you enjoy this low carb green smoothie recipe as much as I do! Whether you’re eating it in a bowl, or slurping it up with a straw, let me know how it goes in the comments below! This delicious and nutrient dense low carb green smoothie recipe tastes like a milkshake without the carbs! Most delicious and healthy way to start the day! Add ingredients to a blender + blend! If you'd like to eat this as a smoothie bowl, add 2 cups of ice.